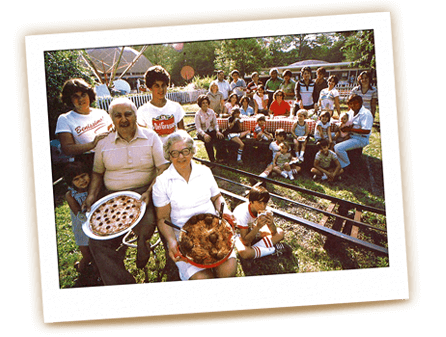 Meat Flavoured Original Family Recipe Pasta Sauce Our best-selling original recipe—a family tradition since 1914! Made with real beef and pork and simmered for three hours! 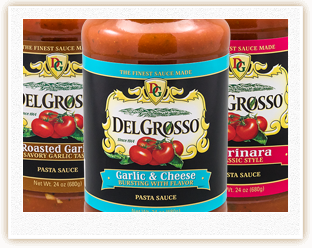 Garlic & Cheese Original Family Recipe Pasta Sauce A classic Italian flavor combination. 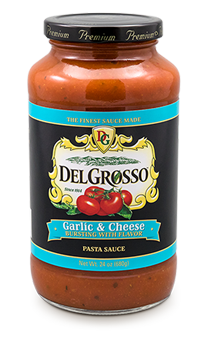 Bursting with flavor, this sauce will take your pasta dish to the next level! Vodka Celebration Coming of Age There's never a question in our family what to serve for birthdays, graduations, or other celebrations. Our Uncle Joe makes the best vodka sauce you will find. "I worked on this recipe forever. I use whole Italian plum tomatoes, special spices, cream and a splash of vodka. Everyone loved it and it’s been a hit ever since." 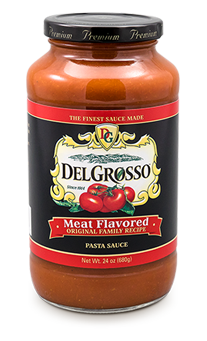 Organic Marinara Certified Organic Pasta Sauce This versatile classic is a mainstay in any pantry. Our Organic Marinara recipe's deliciousness is only rivaled by its sweet aroma that will have loved ones rushing to the dinner table! 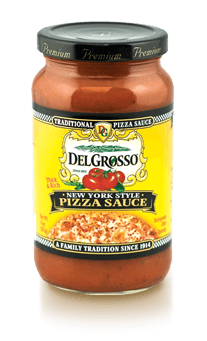 New York Style Original Family Recipe Pizza Sauce Enjoy the savory taste of an Italian original and New York Classic! Great for vegetarian pizza! Roasted Garlic Gala Dress your pasta to impress Summer evening dinner parties at Aunt Cindy's were elegant affairs that made us all feel a little more fashionable. "These were occasions when appearances mattered," Cindy explains. "The food had to not only look the part, but also stand up to the family's discriminating palates," We concur; her mouthwatering roasted garlic sauce is perfectly designed. 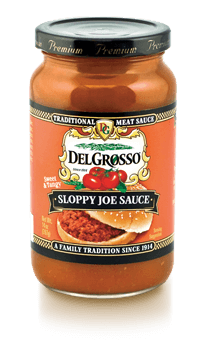 Sloppy Joe Original Family Recipe Sloppy Joe Sandwich Sauce Our Sloppy Joe sauce is a tangy, tasty recipe that can be prepared quickly and easily with ground beef or turkey (or whatever you prefer) for a delicious and simple solution for your next meal.